Wash, clean and dry all the 24 lemons. Cut 10 lemons only, each into 8 pieces and remove the seeds. Take remaining 14 lemons and extract juice. Strain this juice to remove seeds. Add the lemon juice to the cut lemon cubes. Add salt and turmeric powder. Mix well with a dry spoon. There should be some salt left at the bottom—that should be the amount of salt required so that this pickle can be preserved for long time (Saturated salt solution, SANTRUPTA DRAVANAM in Telugu). Cover and keep it aside for 2 full days. See that this vessel, preferably ceramic or glass does not come in contact with water. On the third day we will make the pickle. In these 2 days the lemon cubes become soft. Heat a pan and add the fenugreek seeds. Dry roast the fenugreek seeds till they are brown in color. Take care and fry only on low flame. Cool the seeds and powder them in a mixie jar. To the prepared lemons add the fenugreek seeds powder and red chili powder. Mix all well and the pickle is ready. Store this pickle in a dry bottle. Once the bitterness of the fenugreek seeds powder minimize the pickle is ready to eat. Place these lemon pieces and lemon juice in a ceramic or glass bowl. Do not keep this in a steel or aluminum vessel. As lemon is sour, glass or ceramic bowl only should be used. Note that we have not added any oil in this pickle. So it tastes fresh even though the color is changed to dark. The more this pickle matures the taste enhances. There is another method of preparing this pickle. To the cut lemon cubes add the lemon juice, salt and turmeric powder. Mix well and see that some salt is left at the bottom of the bowl (Saturated salt solution, SANTRUPTA DRAVANAM in Telugu). Transfer this mixture to a clean and dry glass jar and store. Whenever you feel like having this pickle, take some portion and add roasted and powdered fenugreek seeds and red chili powder. Mix well and use once the bitterness of the fenugreek seeds powder minimizes. This way the color of the pickle is bright red. Serve this pickle with curd rice and enjoy the freshness of lemon. Sometimes the lemons may be sourer. In such instances you can moderate this sourness by adding more salt, fenugreek powder and red chili powder as per your taste. Lemons are available all through the year. However they have two seasons in a year. I prepare this pickle once in six months during the season. The pickle prepared this season is consumed in the next season. By that time the pickle gets fully matured, without any bitterness for consumption. I just came across your web site and it promises to be very useful. I was looking at your recipe for lemon pickle. Before trying it I wanted to clear one doubt. In your video the pictures are very clear and easy to understand. There are 10 lemons and later 14 lemons for the juice. My doubt is that in the recipe it says one teaspoon of turmeric. In the picture what you show is much more than 1 teaspoon, infact looks like at least 2 tablespoons. When you have the time, do please clarify the amount of turmeric powder to be used. The turmeric powder shown is one teaspoonful only. It got spread in the plate . The photograph is also a closeup. Both the effects make it appear as a huge quantity. Till date I follow the same proportions at home. As regards the size of the tea spoon, watch my kitchen aids movie. Thank you for your prompt response on a query of mine regarding lemon pickle of several days ago. I did try the recipe and it has come out quite well. I think it would have been perfect with Indian lemons which have a soft skin. The lemons I used were huge with a really thick skin. This is Lahari. 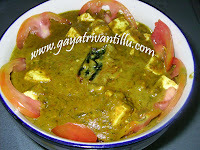 Rajmah curry and nimmakaya vooragya chala bagundi. try chesi ela vachindo cheptanu. But i have one doubt in vooragaya before doing i.e., long back okasari nenu cheste nimmakaya chekka rasam padi koncham cheduga vachindi. ala vaste daniki remedy enti? Take Nimmakaaya Uragaya after 6 months of pickling. During this period the pickle matures whereby the bitterness vanishes. That is the reason in the Text of the recipe I suggested to pickle Nimmkaya twice in a year. The lemons in the picture appears to be of the same size which i have used in the recipe. However in the next season i would be able to give you the average weight of each lemon i have used. The word "Garu" in Telugu is equivalent to "Ji" in Hindi. For Lemon pickle you may kindly visit my website. 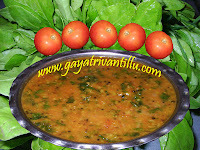 e.
I did not know we could make oil-free pickle like Nimmakaya Uragaya. Thank you very much, ma'am. I will try it out soon. What makes your video awesome is your instructions in Telugu and "Vivaha Bhojanambu" song in the end.